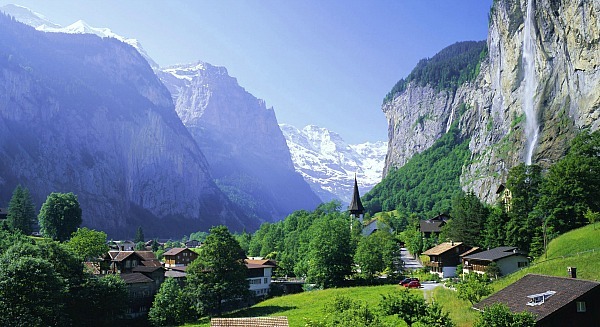 Atlanta travelers: See below how to travel for $551 to Zurich! Customers have attempted to fly with all manner of animals in recent years, according to Delta, including comfort turkeys, gliding possums, snakes, and spiders. The policy changes come on the heels of an 84% increase in reported incidents involving service and support animals since 2016. The airline said that passengers ignoring the true intent of existing rules regarding service and support animals is a disservice to customers who have real, documented needs. This week, Delta began enforcing new regulations for passengers traveling with emotional support and service animals and now requires in some cases a Veterinary Health Form and immunization record be provided or other proof that the animal’s vaccinations are up to date. For emotional support animals, the new Delta regulations are stricter and include a range of mandatory requirements, among them submission of a Veterinary Health Form and immunization records as well as an Emotional Support/Psychiatric Service Animal Request form that includes a letter prepared and signed by a doctor or licensed mental health professional. Learn more about the new Delta policy changes and requirements . United Airlines also now requires additional documentation from those wishing to travel with emotional support or psychiatric service animals. Visit United for updated policy information and new requirements. Visiting Florida soon? Buy an inexpensive one-way flight south and drive out a deal from a number of rental car companies from just $9.99 (pre-tax) per day — for up to 14 days. Act fast on these offers! Once the rental car company projects enough cars will be relocated, the promotional deals end and the era of high daily rates and one-way fees returns for the season. Published rates shown on various websites are only the Base Rate charge (Time and Mileage) and exclude applicable taxes, fees, surcharges, refueling, drop-off, and charges for optional products or services such as Damage Waiver (at $30 or less per day), which are the responsibility of the renter. Minimum age may vary by location and an additional daily surcharge may apply for renters under 25 years old. This savings offer is valid with Alamo for reservations picked up between March 26 and May 31 from the following participating Florida locations: Ft. Myers, Sarasota, Naples and Punta Gorda. Also valid for reservations picked up between April 1 and May 31 at the following participating Florida locations: Tampa, Clearwater, Ft. Lauderdale, Miami, West Palm, Key West and Boca Raton. For certain locations, base rates of less than $9.99 per day may be available. To see if a lower rate is available, visit http://www.alamo.com or contact the pick up location. Book your one-way ride at Alamo . Rentals from Enterprise are valid for reservations picked up between March 26-May 31 from the following participating Florida locations: Ft. Myers, Sarasota, Naples, Punta Gorda, Orlando, Disney Hotels, Daytona Beach, Melbourne and Sanford. Also valid for reservations picked up between April 1-May 31 from: Tampa, Clearwater, Ft. Lauderdale, Miami, West Palm, Key West and Boca Raton. Book these wheel deals at Enterprise . This offer excludes pick-up from Pensacola and Jacksonville. Start your reservation at Avis . Excludes pick-up from Pensacola and Jacksonville. Participating drop off cities include: Chicago, Dallas, Denver, Houston, Indianapolis, Minneapolis, San Antonio, St. Louis, Boston, Buffalo, Hartford, New York, Philadelphia, Pittsburgh, Richmond, Washington/Baltimore, Atlanta, Charleston, Charlotte, Knoxville, Memphis, Nashville, New Orleans, Raleigh Durham, Albuquerque, Northern California, Portland, Seattle, and Southern California. Hertz has yet to publish spring drive-out Florida rates but will likely match these offers. Watch for new offers on the special deals page. How do you find these great airfare deals? Visit Clark’s Atlanta Travel Tips page for a step-by-step search and booking guide. NOTE: Airline fees can and often do exceed the cost of your flight! Additional charges now apply to budget and sale rates on most airlines for a carry-on bag, checked baggage and advance seat assignments. The least expensive fees are charged when these options are purchased during the ticket booking process. Fees climb higher after flights are reserved and even higher when adding these options at airport check-in. Kayak offers the most up-to-date Fees Chart for all domestic and international airlines. Rates start from just $109 a night at the recently renovated SpringHill Suites New Orleans Downtown/Convention Center . Guest rooms received new furniture, paint, carpet and bathrooms, while the breakfast area also received a major makeover. The all-suite hotel additionally expanded its fitness center with cardio equipment and free weights. Modern suites have free WiFi, premium cable channels, plus desks and living areas with pull-out sofas. Kitchenettes provide coffeemakers, minifridges, microwaves and wet bars. The morning breakfast buffet with fresh-baked croissants, fresh fruits, golden-brown waffles and eggs made to order is complimentary for diners staying at the hotel. Onsite is a convenience store, an outdoor pool, a hot tub and a coin laundry. This SpringHill Suites property is 9-minute walk to the Port of New Orleans, Harrah’s New Orleans, The Outlet Collection at Riverwalk and National WWII Museum (5-minute walk). Enjoy a Low Country Getaway at Wild Dunes Resort on the Isle of Palms through March 30. The 1,600 acre resort in South Carolina spans the northern tip of the Isle of Palms, a lush barrier island off the coast of Charleston. Sitting on 1,600 acres, the oceanfront resort offers a variety of accommodations, including oceanfront suites and homes overlooking the fairways. Explore the island on bikes, play golf or tennis, or drive 15 miles into historic downtown Charleston. Save 20% on a two-night stay or 25% on three or more nights in the AAA Four Diamond Boardwalk Inn, the Village at Wild Dunes (choose from guestrooms, studio suites, one- to three-bedroom suites and penthouses), or select home and condo rentals (three- to seven-bedroom homes and one- to three-bedroom condos). Nightly rates before the discount start from $149. Mention Washingtonian to receive a complimentary Wild Dunes Resort bucket gift filled with local snacks and beers (a $25 value). Refer to code WILDDC when booking. The Countdown to Summer promotion offers 20% savings for May 28-August 30 stays in the Village and on vacation home and condo rentals. A minimum two-night stay required. Average rates from $159 in a Village Resort View guest room situated 200 yards to the beach. Onsite are numerous dining options, a spa, and the newly renovated Links Course and Harbor Course – both open to the public. Tennis Magazine ranked Wild Dunes a U.S. Top 10 Tennis Resort for nine years in a row. The resort offers 17 Har-Tru courts – including a stadium court – and light five of them for night play. Guests enjoy daily complimentary court time and programs for all levels of play to clinics and drills. Travel e-Scapes is brought to you by Clara Bosonetto, Team Clark Travel Editor. Follow Clara on Twitter .